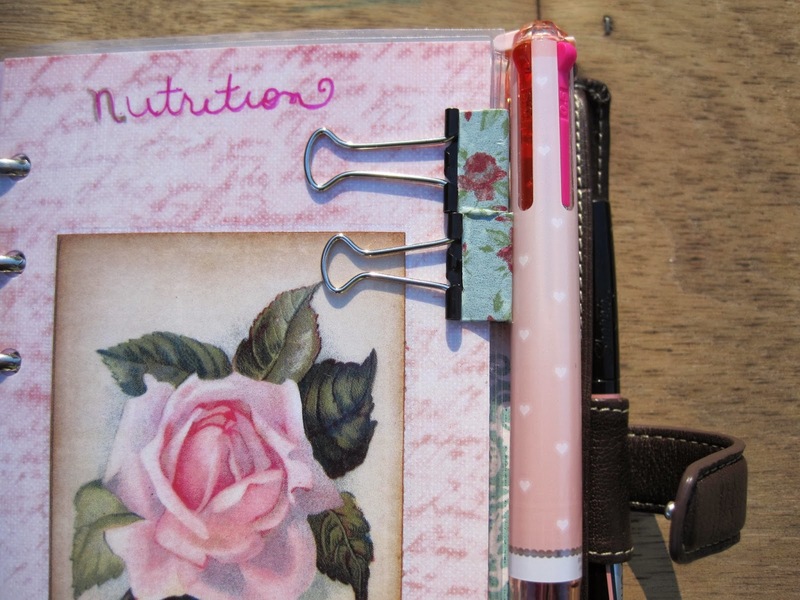 Traveler’s Notebook Supplies | If Not Now, When? 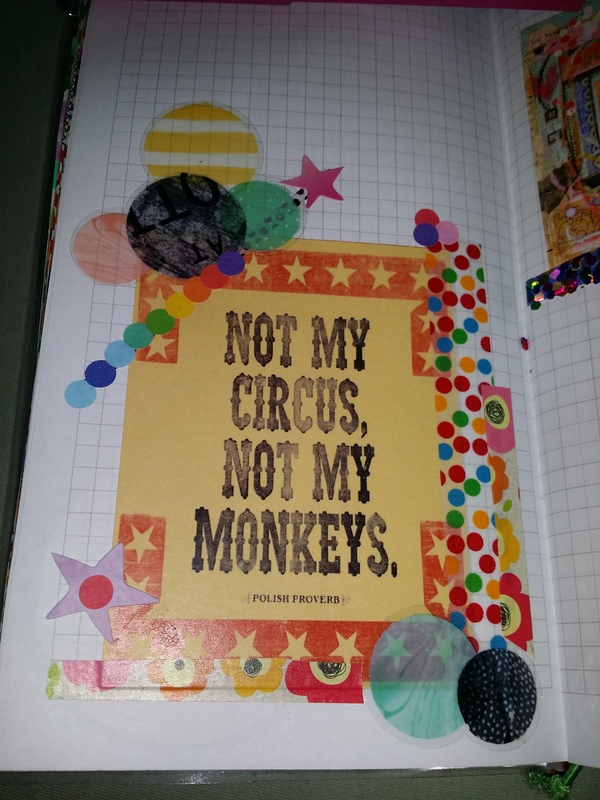 Not My Circus, Not My Monkeys…. 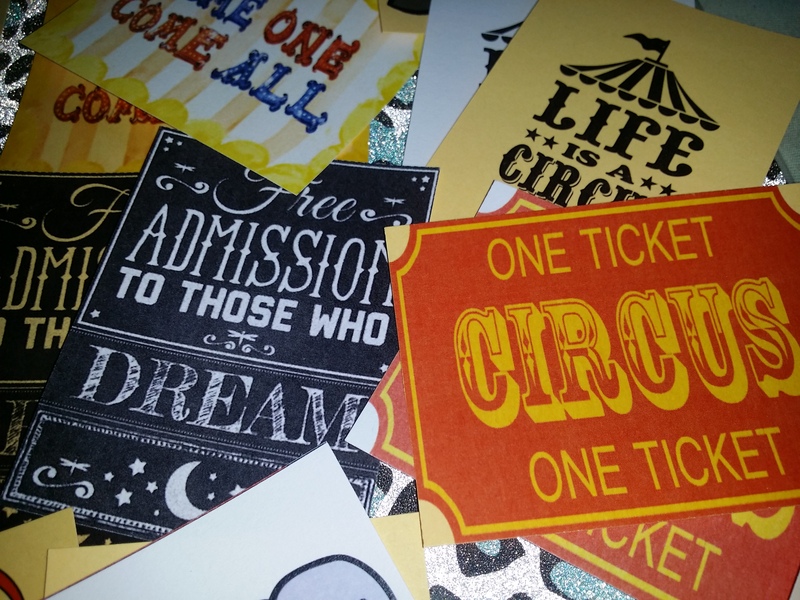 Since becoming a serious “journaler” I’ve also become a serious collector of stickers, paper, any kind of ephemera that adds to my paper expressions. 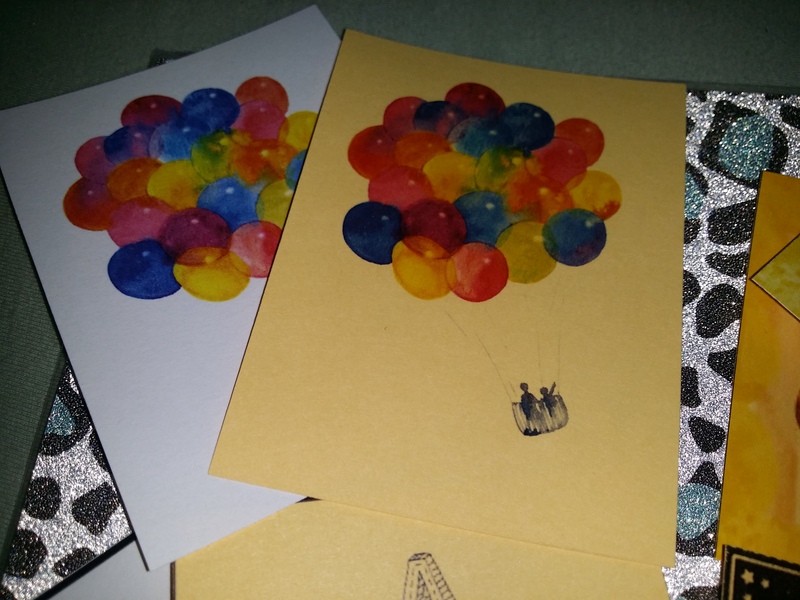 Recently on one of my Facebook groups I am a member of, an Etsy shop owner, Victoria Werth offered a free download to a couple members who would show her work after downloading the journal cards. I think it is important to promote each other and encourage each other in our passions so I requested a download. Much to my happy surprise she had a set of digital journal cards with one of my favorite phrases on it! 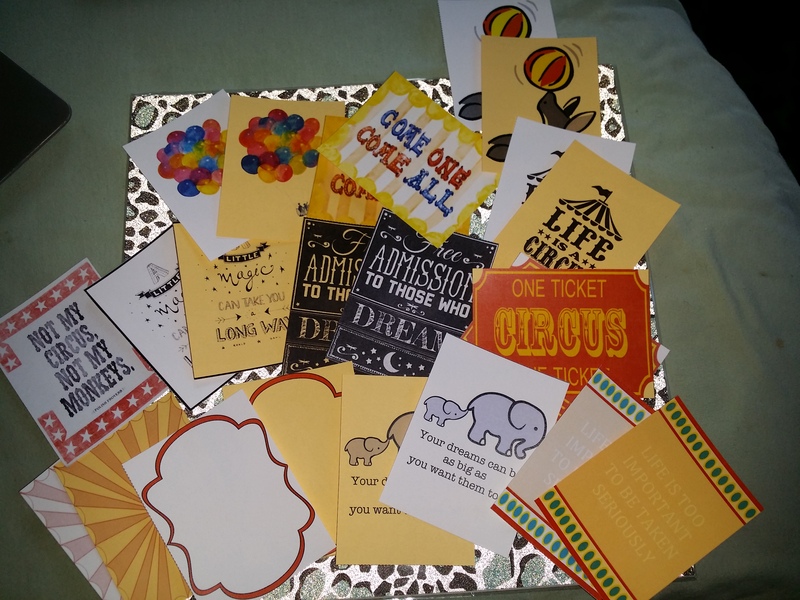 The set I requested was the circus theme – pictured below, in two colors of card stock and with one card in my TN. Her shop, Victoria Plans, has Disney, wedding, spring, ‘no spend‘, different holidays, Harry Potter journal cards and a weekly insert. Victoria can also be followed on Instagram at @victoriaplans. My fondness for digital downloads really boils down to being able to take papers, images, etc and use them over and over again. 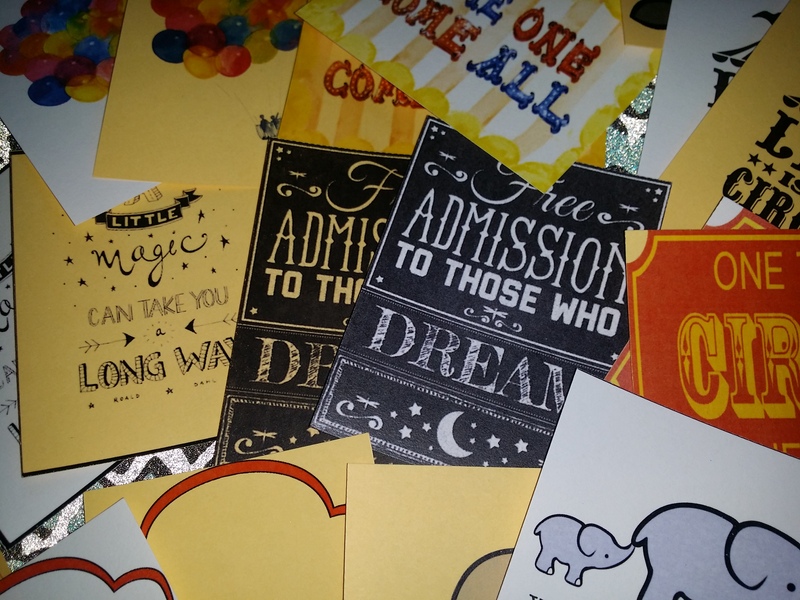 While it’s always fun to go in to the craft store and buy paper, when I find ones I love in a digital format at a great price, I will use them over and over in a variety of ways. I am compiling a list of my favorite ‘paid’ digital download sites. 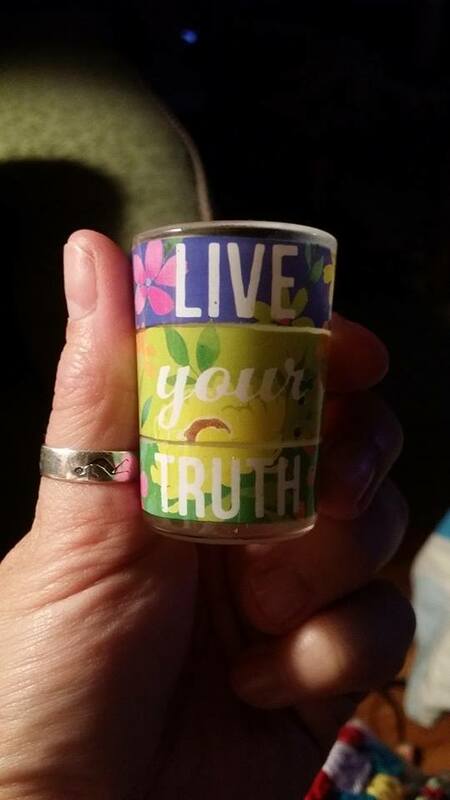 Keep watching for it…. Through someone I met on Instagram I discovered an artist with a very unique aesthetic. 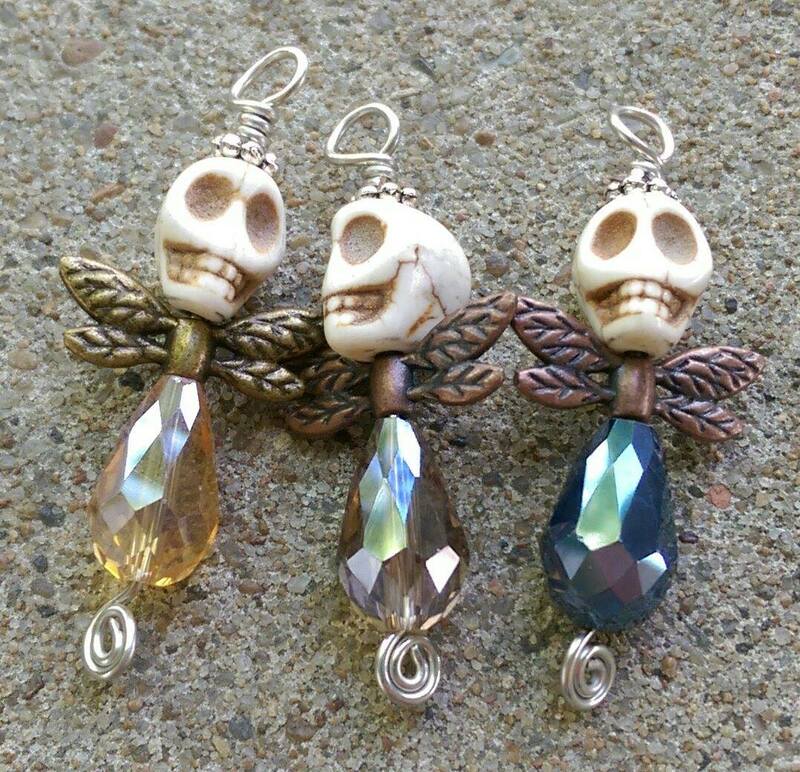 I love skulls, I’m not sure why, I don’t associate them with death or sadness or anything negative. 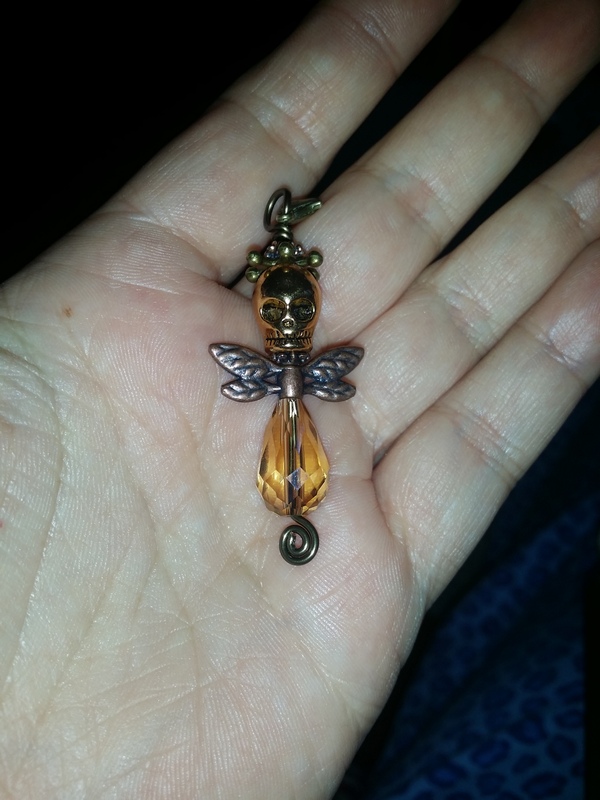 Karen Kemp has taken the skull and combined it with wings to make what I call a ‘skull fairy’. When I saw them I was on a mission to own one. 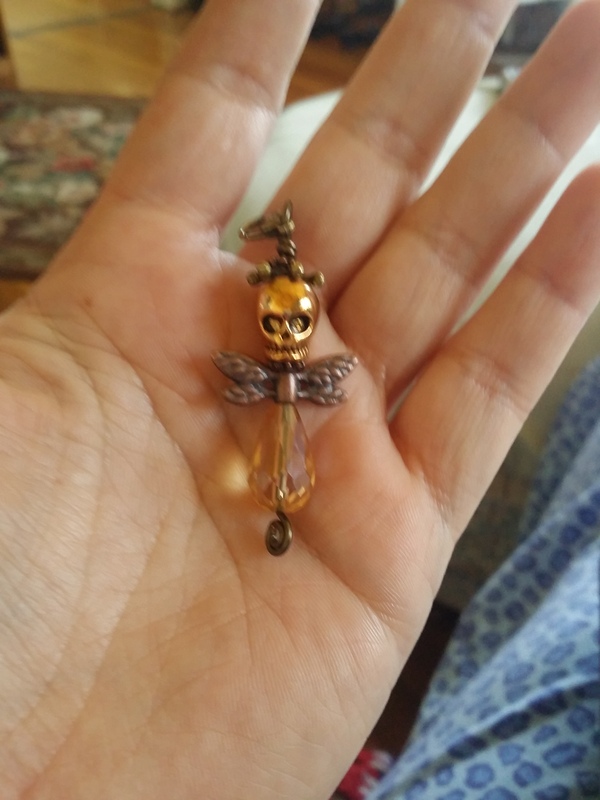 The friend of Karen connected me with her and a couple weeks later I had my gold skull fairy. I took two pictures of her, in different lighting, so you can see the details. She custom made this for me. Karen has a big selection of ‘skulls’ and findings and can make you just want you are looking for…within reason :-D. I’m not really hanging charms on my TN’s much these days so I am wearing mine on a chain, it’s gotten quite a bit of attention too….Part of the attraction for me is the obvious contradiction between a skull and fairy wings. She does have other colored skulls in case you aren’t in to gold. I sort of think my fairy was a lucky charm this morning as I had her on when my 24 year-old car passed state emissions testing! If you are interested in commissioning a charm you can email Karen at prismaticpov@gmail.com. You can also check out her F acebook page here. I recently created a new resource list and included BlissBagBoutique in the list because she-Julia Schnee – makes these amazing TN accessories pouch with exacting construction. Pictured is a green one with yellow trim. These fit a standard Dori. Well, Julia, appreciative of the shout out, sent me one of her lovely FabDoris. I have three leather Dori’s currently and was excited to get it and see how a cloth Dori measures up. We will start with blogs about planning…top of the list of course is Morgan Le Faes Trinkets and here are a few more: Burgess Taylor, JenniferLynnFaber – brand new, exciting things coming here, Baum Kuchen, Pen Paper Ink Letter, My Life All in One Place, Pen Addict, Zencraft, A Bowl full of Lemons, Goulet Pens, The Well Appointed Desk, Hollis Finds, KenRen Stationary, Amy Tangerine, Seaweed Kisses, and JetPens. I find endless inspiration with Pinterest boards (and often new products I haven’t heard of…) here are some stand-out boards I like: Waters March, MCD4JC, Crasmussen7, MoniqueVMB, Gtote. There are hundreds more…just do a search. On to pens and pencils (I’m so addicted). I have to put JetPens first…it will always make every list I create because it is the ultimate supplier to me. Here are some more that you may not have seen…. The Online Pen Company, Moleskine – especially if you like square pens and pencils…lol, Cult Pens – shipping is spendy if you are not in Britain or Europe but they have things I can’t find anywhere else…., Poppin – not really name brands, but everything is based on color coordinating…cute, lots of office supplies also…also color coordinated, Pencils – this is a Japanese store, I haven’t bought anything from them, however, I have always loved the Japanese aesthetic when it comes to office supplies. If I see something on there I like, I can often search for it on Amazon and find a seller to get it from. Andreys Pencils – some great finds, Dollar General – I put them on here because if you are trying to get your kids interested in writing or journaling you could set them up in front of this site and let them pick their own supplies for cheap…to get them started…. Pendemonium, Dalys Pen Shop, Von Graf – this has been called by many, the perfect pencil, I have lusted over this pencil set for 25 years…someday….someday I’ll own it. 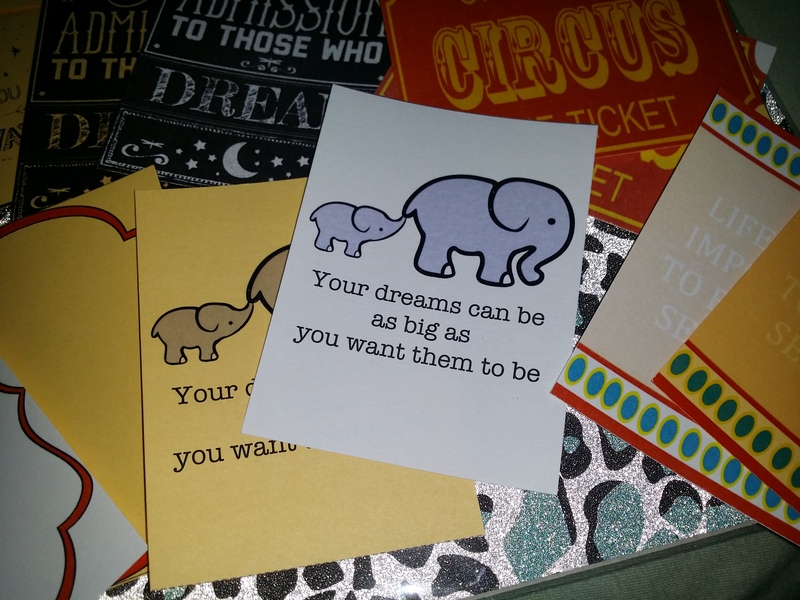 Stickers are something every planner fan needs…yes – needs….lol. Here we go: yep this is just a general search on ebay for planner stickers (no, I’m not getting lazy in my resources but there are great finds on here), Mochithings, Redbubble, ACherryonTop, MissWenduhh, and StickersGalore. 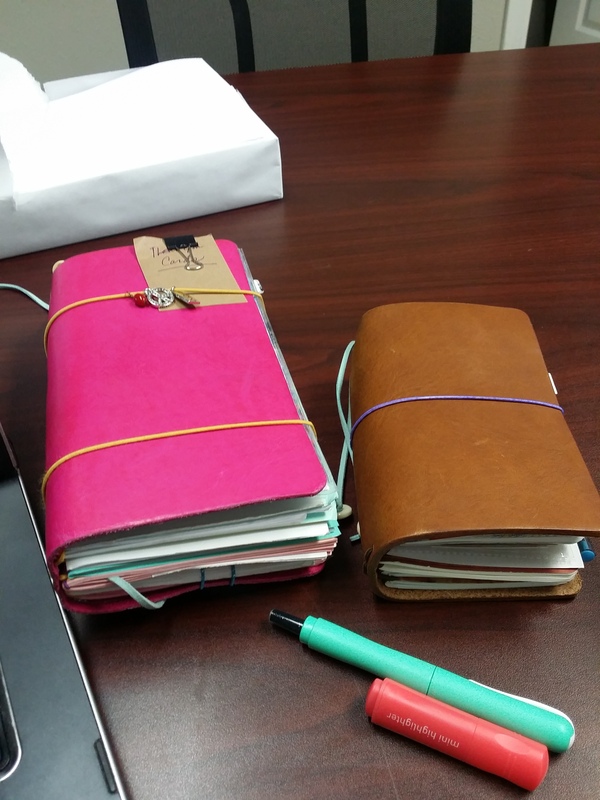 Next some resources for general office supplies…. Fallindesign, Modcloth, Squareknott, Thinkgeek, Gadgetsandgear, SeeJaneWork – I’ve been a huge fan for years, WorldMarket, AtaGlance – they must have a new design team…some very trendy, cute products these days and great prices, Twohandspaperie. 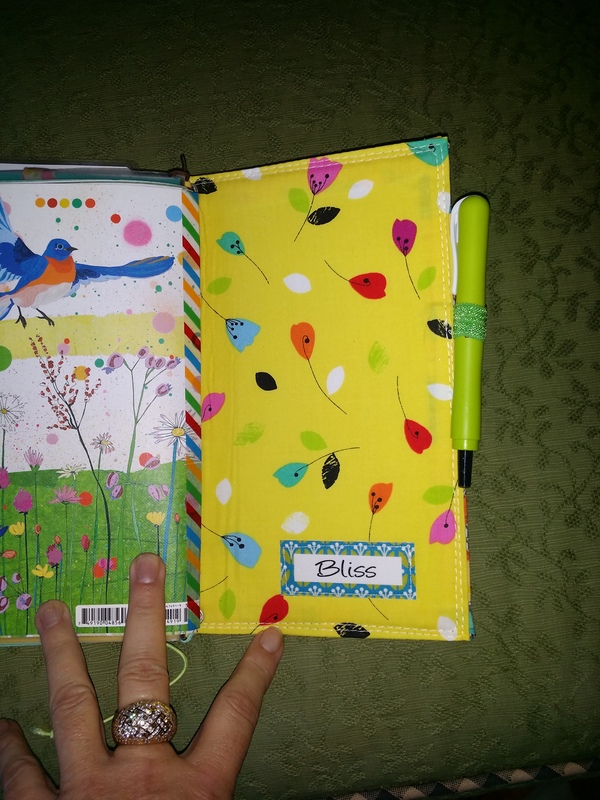 Planner supplies abound, I’ve previously listed many. This is always my favorite part of a resource list…I’ve tried to curate some new shop finds, hopefully you’ll like some of these: TheJournalShop, MyMaido, Pikwachan – LOVE, ShiningStarBoutique, ArasPaperCreations, Shabbychickcrafts, TheHouseofFourShop, MailboxHappiness, Bypaperflower, Italiacraft – If you are an Erin Condren fan, they have the Cadillac of covers for it….17 internal pockets, shop located in Italy, shipping is a little steep, Plannercrush, Jessescraftroom, Stickewicketdesigns, Blissbagboutique – nice planner pouches and developing quite a brand, Pocketfulofsparkles, Peoniespaperie – I love the baby heart clips, SunshineNellie – she makes cute journaling band bags for supplies – unique, AlexiaClaire, Sweetmilkshoppe, SuckUK – CUTE tiny sticky notes, HandWorkDIY, AtelierDays, WigglyPickle, LaurieClaire, KandeezKupcakez, PoeticSoupDesigns, AllenTape, MakeAJournal, Glitteryjem, Paperpluscloth, ZigZakka, CuteTape, ParksidePaper – some cute stickies… This product will turn any piece of paper in to a sticky note…I always have a tube with me. These resources really have nothing to do with planners but…I just had to share. Unique candy from PapaBubble – ALL handmade and delicious. If you want a candy that people will talk about and want, this is is. Delicious and adorable. Want signs you love what you do? Read this article. SteamCream has reached cult status…seriously good stuff for your skin. Magicpug has these adorable magic potion printable labels for Halloween (I know, totally random…lol), This adorable and inspirational paperweight. I purchased the Align Stapler. 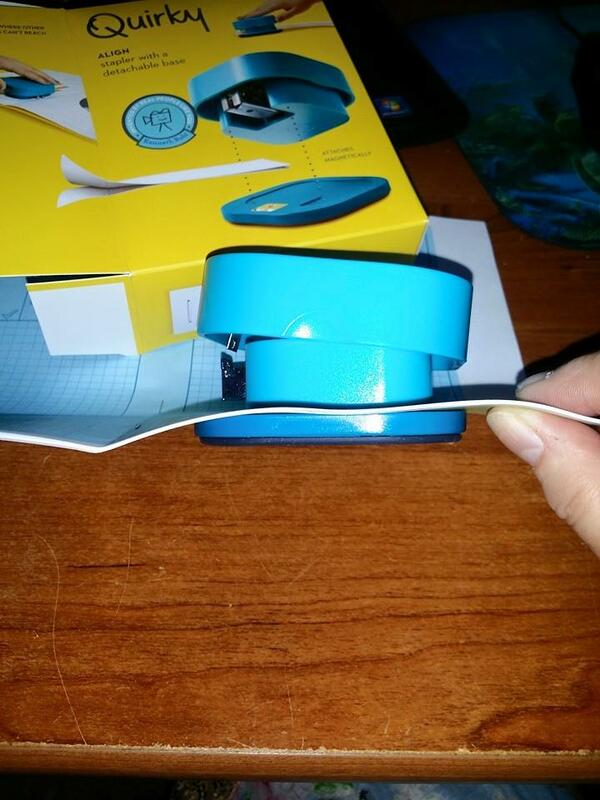 This little device is basically a disconnected stapler that is held together top-to-bottom with a magnet. You put your paper in between the pieces and staple. The idea is you can staple any size papers. Ideal for making your own printable inserts right? I posted on my FB groups about purchasing it (before I received it) and had may people telling me how awful it was. Not being one to just march to everyone else’s drum I didn’t really care, I wanted to find out for myself how it works since it was only ten dollars on Quirky. I received it this morning. After the first staple attempts right out of the box sucked, I was a little anxious. Once I got the hang of how it works I love it. The device is very light, so gives the impression of being kind of cheap. When you staple, you don’t get that satisfying thunk that you do with a conventional stapler. If you can get past that, the stapler works very well. 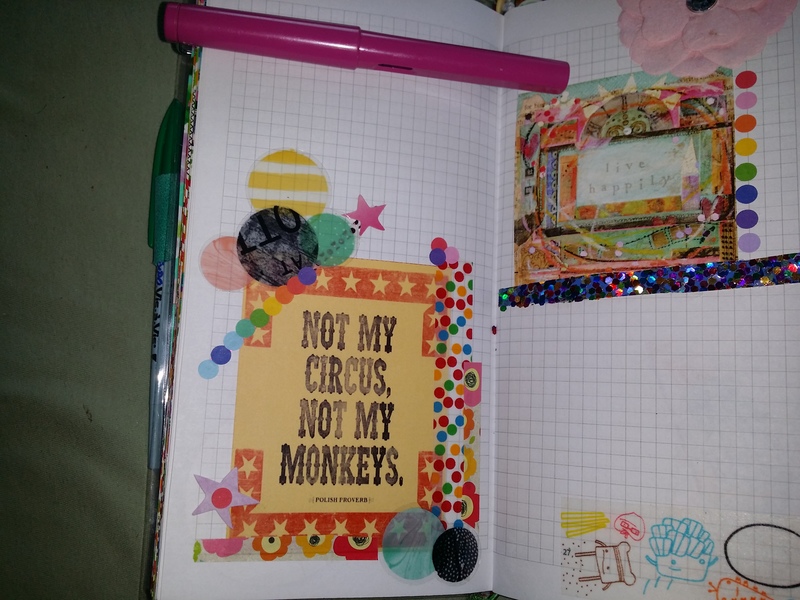 In the photos, I stapled a piece of cardstock and eight sheets of copy paper that I had a page-a-day hobonichi printable on for the month of April. It stapled all of it. I also discovered the other option, which is not mentioned anywhere, is that you can take the top staple mechanism, with an eraser under your papers and the mechanism placed above and staple more than the thickness you may be able to with both sides together. I hope that makes sense….so basically using it as an open stapler in the tacking position – which is how I have been stapling inserts prior to this. I think for the price, the device is well worth the money. You can find it here. I have an insert in my field-note size TN that is strictly for weekends. 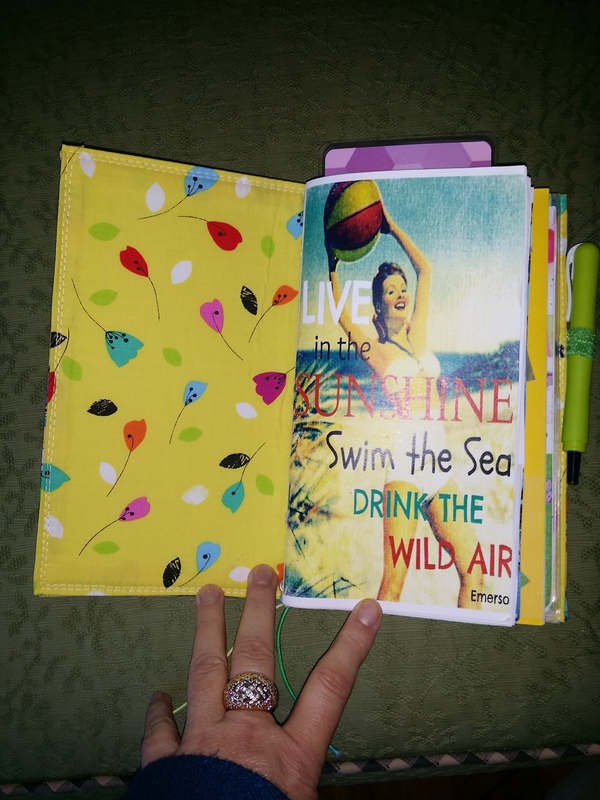 Weekends can be very hectic and sometimes during the course of the week, I can forget what I need to get done so I keep an insert that just has my weekend activities. As the week progresses I add to it, including the fun things I might do with family, friends or my kids. Yes, I have calendar inserts in my regular size TN but I don’t always want to carry that one on the weekends and I don’t necessarily want a calendar in my smaller one, so this was the perfect solution for me. I do keep a month calendar in my smaller TN, it’s the pictured one, which you can find here. It doesn’t add any bulk and I can move the sticker around if I need to.